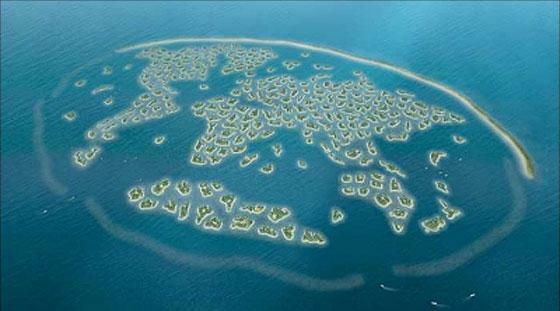 The world island in Dubai is a wonderful work of engineering and something that makes me feel proud to be Emirati. 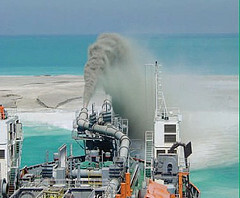 To form the base of the island they dredge sand from the sea bed and form the shapes of the islands by rainbowing the sand from big ships. Next, they drop big rocks from Fujairea and Ras Al Kahama using a crane onto the sand island using satellite navigation [GPS] to make sure the shape correct. Finally, they hope that the sea life will come and live in the rocks so nature will stick the rocks together so they do not move. To protect the island from the sea they built a barrier around it to help the island from any problems with the sea. And I think this island make me proud because it’s a special thing in my country.